HM-ND | Liquid Chlorella, 8 fl. oz. Protease, MSM, Serratiopeptidase, Bromelain, Rutin, Amla, Cellulase, Papain, Amylase, Betaglucanase, Hemicellulase, Phytase, Lipase. Non GMO. Tree Of Life High Intensity Proteolytic Enzymes is the next generation in inflammatory defense. This doctor recommended formula supports fibrinolytic activity as well as other blood cleansing activities. It also helps to modulate immune function and circulatory health. This potent mix of systemic enzymes, protease, and cofactors with MSM helps to support the reduction of inflammatory markers and pain. 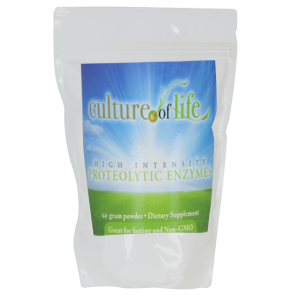 Tree Of Life’s High Intensity Proteolytic Enzymes can be safely used with other dietary supplements. High intensity enzymes thoroughly cleanse the body and may produce associated detoxification symptoms. Great to use while fasting. Do not take this product without the consent of your physician if you are currently taking anti-coagulants (or if you are pregnant or lactating as these test groups have not been clinically studied). This revolutionary blend of systemic enzymes and antioxidants is specially formulated to support healthy circulation and removes plaque from the arteries as well as thinning the blood as a protector against increased tendency to clot with age. It is helpful in normalizing immune hyper function as in auto-immune disease. It has been documented to decrease swelling after trauma by 50% (such as in cases of sports injuries, wisdom teeth extractions, and other physical traumas). It is helpful in inflammatory conditions in general as well as for dissolving external and internal scar tissue such as post-operation adhesions and scaring of the ducts of the B-cells of the pancreas as in type 1 and advanced type 2, insulin- dependent diabetes. When taken at least 1 hour, before or after food, 70% is absorbed through the Peyer's patches in the small intestine and goes directly into the blood. Endogenous Blood Particles (EBP's) are unwanted materials that normally accumulate in the blood; these can include decayed cells, fibrin, fatty proteins, and yeast. Cleaner blood, with a reduced level of EBP's can support healthy inflammatory responses and their relation to joint discomfort and stiffness, such as in osteoarthritis and rheumatoid arthritis. Reduced EBP's sustains healthy and relatively normal blood clotting factors as well. Because of its powerful anti-inflammatory, anti- oxidant, and anti-edemic components this product can be effectively used by people to promote joint comfort, healthy circulation, healthy immune function, support for sports and work injuries. I use it for all diabetics in our diabetes program. We have discovered that it increases the detox rate by 400% in our fasting program and so helps to minimize fasting crises. During the fast I recommend 1 scoop or 5 capsules three times per day, and preventatively in healthy adults - 1 scoop or 5 capsules two times per day. It is also recommended for long flights to prevent peripheral thrombosis, which is the leading cause of medical deaths while flying. It is a powerful chi enhancer. Now, the proteolytic enzymes really began in the 1900s, around the turn of the 19th century. And a guy named Wolf, Dr. Wolf, began using the particularly pancreatic proteolytic enzymes to treat cancer. And the theory is very simple. Cancer is protein, proteolytic enzymes will dissolve cancer. And to a certain extent, that has been true. Now, there are doctors in the US like Dr. Nick Gonzalez in New York City. Who really specializes in the use of these proteolytic enzymes to treat specific cancers that it particularly works well on. Pancreas is one of them. With success, you mean. With good success, yeah. Well, we need to understand, cancer of the pancreas is almost always fatal. And he, I don't know exactly his success rates, but they're maybe 30% or 40%. That's a whole lot better than zero or 5% or 2%. So, we always say relative, when we say it, it's not 100%. Again, I don't know his exact, but he's getting his success. So, he's using a variety of the more sophisticated, in that case they were using animal active pancreas proteolytic enzymes. But that was 1900. It seems to help in other things too, other cancers. Later, they began to notice that it'd helped in other ways. And I'm more concerned about the other ways, you know, my focus is not on the treatment of cancer, as you well know. So, we kind of have to look at what do the proteolytic enzymes do? Well, first, they are secreted by the body. Your body does make proteolytic enzymes. And I first got interested cause of fasting, and I had this interesting idea. The body is shifting all its enzyme power inside to dissolve toxins and scarring, and whatever, adhesions. What happens is, though, that's great, so why don't we copy it? So, that's how I kind of discovered these things. And they're, again, but, but, but initially it was a German product called Wobenzym. Which is an animal-based. So I said, well, I can't use that, I'll wait. So eventually they came out with a vegan form of it. Which is a different enzyme, okay. But it's very super, is it equal to Wobenzym, that's what it was designed to be. And so I've been using it, and as people got more sophisticated, we see that yes, it's good for cancer, but it's good for all inflammation. Because the proteolytic enzymes are really what counters inflammation. Inflammation is, you know, you've got a wound, then all these things are going into that area, things are leaking out of that area, and you have this kind of junk protein buildup. And the proteolytic enzymes dissolve that. So what we're finding on our studies with our athletes, is it will cut down your healing time by 50%. Also, people have wisdom teeth, this is an example, you know how your jaw swells with wisdom teeth, again the swelling and healing time is 50%. So it's not like a magic wand, but 50% is a lot when you've got your jaw swollen up like that. If you're a professional athlete, 50% is a big deal, when you're talking about a day or two recovery time that you have to have, and this maybe cuts it down to one day instead of two days and you're actually being out to practice. It is good for sprained ankles, any kind of trauma, any kind of swelling, because swelling is an excess of protein going into the tissues, it will dissolve that. Okay, that's one level. 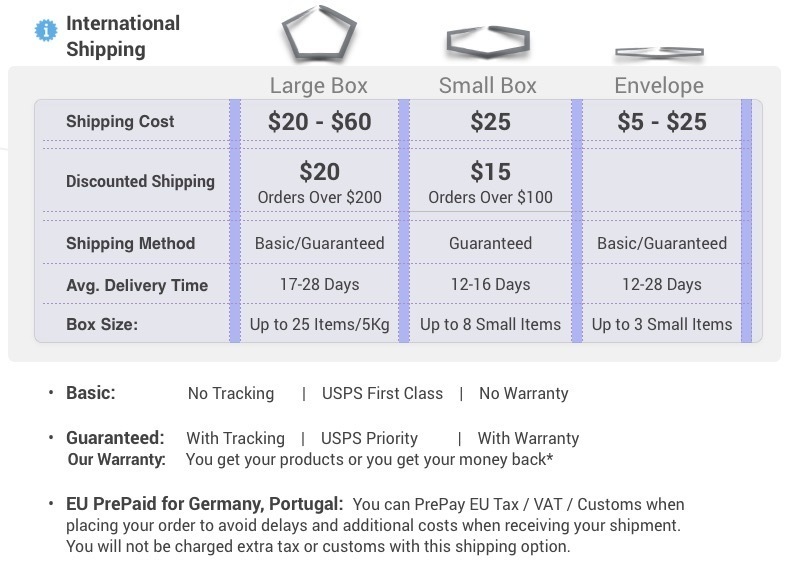 It also has a regulatory part, so it's very good for all the autoimmune diseases. It may take longer for rheumatoid arthritis, which is really pretty hard to heal. It may take six months before it starts to have an effect for rheumatoid arthritis. Or for immune. It seems to regulate. That's different than from stimulate, regulate means it brings it into balance. So, that's another piece of what it does. It's inflammation. The other thing that... I wouldn't say I discovered, but in terms of diabetes, which is the other area I was actually using it in, what we found... And the healing of type one diabetes, as well, is primary. Is that in type one you tend to have a lot of atherosclerosis and a lot of amputations. The arteries are clogged up from the atherosclerosis. It makes it go away, in other words, people scheduled for amputations don't get amputated. People who can't use their leg, after a while, their circulation increases to the leg. So, it's a primary one for cleaning the arteries of atherosclerosis. From its enzymatic function. It also has some anti-coagulant effect, now that's a downside, cause if your blood is thin or you are taking anti-coagulants such as wafarin, Coumadin, you know, those names, heparin. You can't take this because it makes your blood too thin, and you can bleed out. So, everybody understand that? Yeah. You cannot give it to anyone with any blood-thinners. Coumadin. Yeah. All the blood-thinners, if you have that, you can't. Now, there's another side to the story, which is you can, this is not what you can do. But the medical doctor, we'll go work with him, can slowly take them off that and put them on proteolytic enzymes. Much safer. Still get the blood-thinning, different mechanism, you can't measure it which is the problem. But I will absolutely assure you it makes your blood thinner. We can see that under the microscope, but people who are sensitive to it will bleed more frequently. Because it makes your blood thinner. So, you follow what I just said? So, some people actually can't take it cause their blood is too thin. It will enhance bleeding. Follow what I just said? So, that happens in a few people, but it definitely happens, there's no doubt about it that that happens. So when you give it, you gotta let people know that if you start bruising every time you bump yourself, you get bruises, ohh, your blood is too thin. You'd better take less or not take it. Okay, so that's something to really consider in the picture of that. So the two conta-indications are if you're on medication or if your blood is too thin. Now, sometimes you're not going to know that, "Oh, hey, I bleed easy." Well, then don't take it. But other people, they don't know that and so they take it and it's like, "Wow, I'm bruising so easily, "what's going on here?" Then it's too much for them, either cut it in half or take them off it. So those are considerations. But it's a lot safer than statins, which, 9% of the people taking statins get diabetes. It raises your blood sugar up to 40 points. 57% of the people with statins have hepatitis of some sort of problem, including dying from the statin effect on the liver. People get lots and lots of mental problems. People get lots of, ah, cramps and spasms, and it depletes your CoQ10. So there are a lot of problems, and I think I've already mentioned it but I'll mention it again, the recent research by the, confirming, confirming, confirming, Journal of the ArChi (Qi)ves of Internal Medicine, the big AMA journal. 2009, makes its headlines, "there is no connection between "cholesterol levels and heart disease." So a lot of people are taking it for no reason at all. You're taking it to clean your arteries, this is a whole lot safer way to go. It's safer because it's a more authentic way to keep your blood thin and to clean your arteries. And to have the anti-inflammatory and the anti-aging effects, to increase, and the anti-scarring. Because what I found in diabetics, it cuts down the scarring as well. And we find that it opens up the, inflammation in the pancreas creates scarring so that the beta cells of the pancreas can't get the insulin out, and that kinda opens up the ducts. So that's very exciting, used in that way. So, those are the kind of multiple levels of which this is useful. It is not a digestive enzyme. However, if you eat it with your food, it will digest your food. It's a very expensive way. You don't want to do that. It needs to be taken one hour before food, usually awake and bedtime and one hour sometime during the day. Five caps three times a day. He said five caps. Five capsules or one scoop twice a day. Or, five capsules twice a day, is generally what works for people, wake and bedtime, practically speaking. They have a serious clotting problem. If they just had an operation, first of all, you don't give it before the operation, and you wait a day or two after the operation cause it will create bleeding. Which you don't want. You have to wait, starting a day or two before, you don't take it. If you're flying on an airplane, the main cause of death on airplanes is a clot. So, if you take it while you fly, which is a very smart thing to do, it protects you against that. That's the main, as they say, the... Thrombophlebitis that you can get on flying, that's a common thing, relatively common. Then forms a clot that can go to your lungs and can kill you. So, taking it five caps three times a day for a few days while you're flying is generally a good idea. Three times a day, not twice, three times a day. Cause you're under a high-stress situation called flying in an airplane. You take it for a few days, it works immediately. Now, the other downside is that it works immediately. It works immediately. That's a problem. Cause if you take outside the capsule, and you get it and you don't wash it down completely you can get a laryngitis, it's going to start dissolving your tissues. And your throat and there. So, you've got to get into your stomach pretty quickly. So you want to wash it down. Rinse it, get it going, it doesn't dissolve, get it going. Swallow it and follow with a chaser. Yeah, little green juice, little green juice. But my saying is you don't want any leftover in your mouth. If you're doing a capsule, it's not a problem. If you're doing a powder it is a problem. And you really, really need to warn people, because they can get really a burn in their mouth. What about uh... You can get a little bit of that, yeah, not in the stomach cause the stomach's use of acid and you don't have a problem in the bowel. It's really your mouth. As a dietary supplement, take 1/2 scoops, between meals preferably on an empty stomach or as directed by a health care provider. During the fast I recommend 1 scoop, 3 times per day. Preventatively in healthy adults - 1 scoop, 2 times per day. It is also recommended for long flights to prevent peripheral thrombosis, which is the leading cause of medical deaths while flying.